When it comes to light modifiers, we photographers have an abundance of choices today: from large softboxes and octaboxes (soft light), to zoom reflectors and silver umbrellas (hard light) and everything else in between. As a beauty photographer, however, I feel like we have fewer options than portrait and fashion photographers who can use the whole range of those lights. 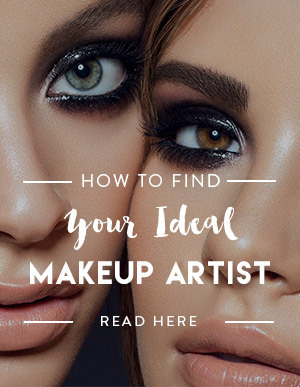 For example, I am not too impressed by soft light produced by my rectangular softbox, and would only use it for beauty portraits with individual clients, but not for commercial beauty or beauty editorials. Simple hard light works a little better, I could use it every now and then, but not as my go-to light. So, following my visual preferences, I ended up sticking with a beauty dish for the longest time, until I finally got tired of it. If you have been following my blog for a while, you might already know from my previous mentions that I had been shooting with a Paul C Buff’s Einstein as my main light for many years. So, in search of a new light, some time last summer I bought a 60″ Giant Octabox by Paul C Buff, and while I liked “experimenting” with it, I quickly realized that it was not going to become my favorite either. It is really bulky and heavy, and since it mounts right onto the strobe, without any extra support, it just pulls the strobe forward and I can’t get it to stay at an angle I need. The other issue is that even at the highest power output my Einstein struggles to provide enough light to nicely illuminate the model, even when it’s so close to her that I have to squeeze myself between the model and the light. So I am forced to shoot with a higher ISO, and you know how that affects the quality of the image. But the main reason why I never really liked it was the quality of the light it produced: it was so soft that there were barely any shadows and highlights present – just the midtones galore. The fact that it was really close to the subject made the light almost “wrap” around the model’s face, filling all of the shadows. But I couldn’t move it further away because I would have to go up in the ISO even more. In the resulting images above, I had to enhance the highlights in post, the Octabox made the skin look very flat. 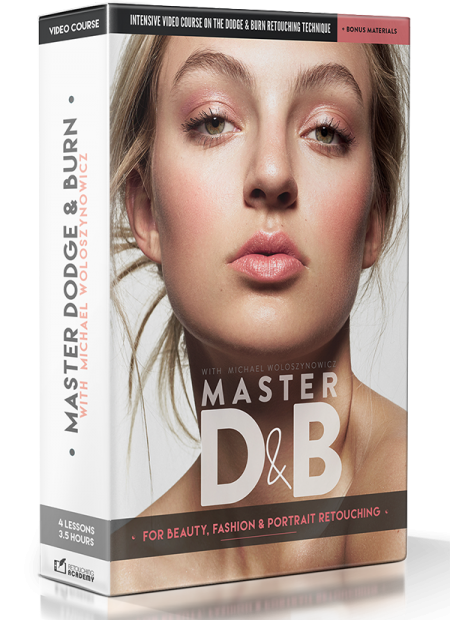 Right around that time, my friend, The Dover Studio (Los Angeles) manager Rick Rose purchased a large Broncolor Para 177 and offered me to test it in one of my personal shoots. I tried it for portraits, closeups and even macro beauty, and absolutely loved the unique qualities of the light that this Para created! It was almost like the best qualities of my light modifiers – a large Octabox and a silver Beauty Dish – were merged in this one light. Due to its large size, the soft light was evenly illuminating the model’s face and chest, but the shadows were still present and more prominent. And my most favorite feature of the light produced by the Para was its brilliance! While there were a lot of evenly lit midtones on the model’s skin, I also had nicely pronounced highlights. So basically, Para 177 gave me exactly what I was lacking when shooting with the Giant Octabox and had to compensate for in post. When I got home after that test shoot and reviewed the images, I realized I found my new favorite light. I knew it was perfect for me, but since this would have to be a solid financial investment (Broncolor lighting and especially Paras are not cheap), I wasn’t in a rush to replace all of my lighting equipment just yet. 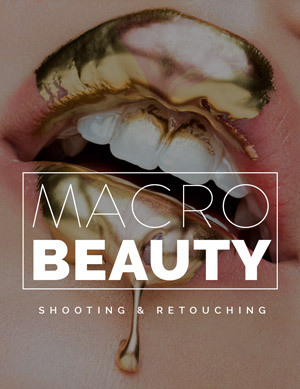 Instead, I started renting Para 88 that is smaller in size for all of my commercial shoots, falling in love with the light they create more and more. 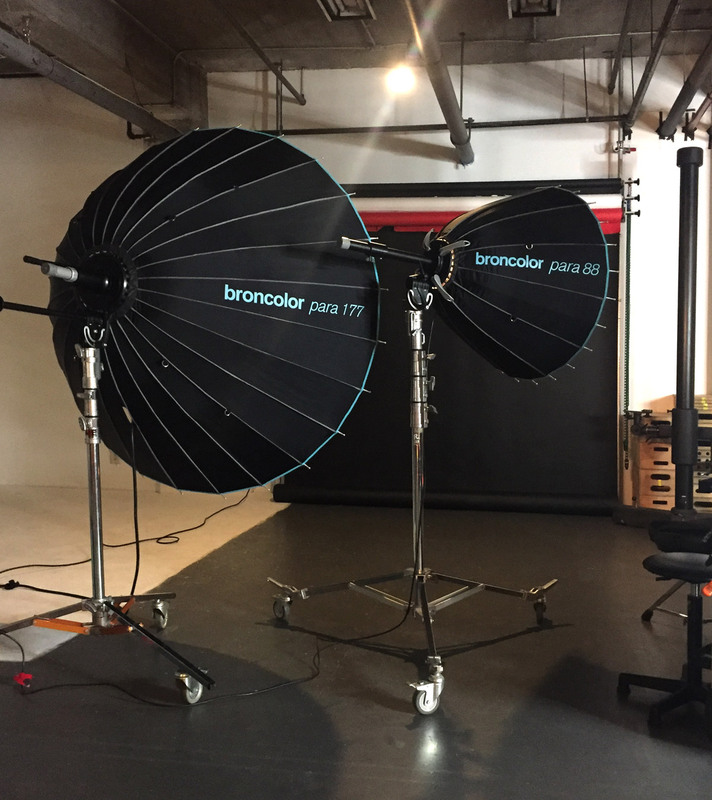 On the B&H website Para 88 is described as a 34″ (88cm) parabolic reflector built like an umbrella with 24 braces and specular silver coating on the inside. 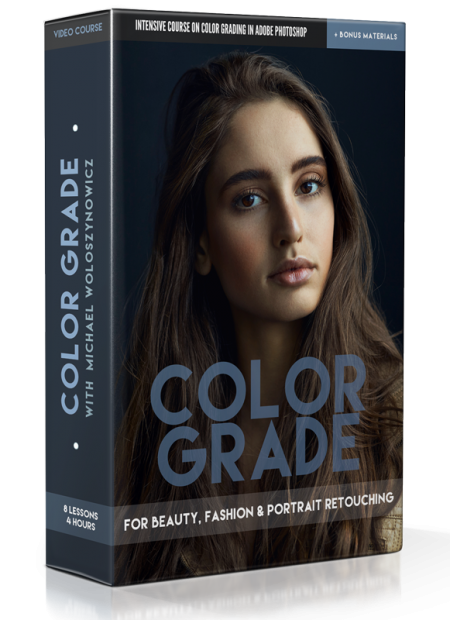 The design of the Para 88 yields very high light efficiency, wrapping the subject in soft bounce light with specular highlights which emphasizes detail. Due to the calculated parabolic form of the reflector, light fall-off only occurs at the Para’s extreme edge. Variable focus allows adjustment of softening and dispersion of light. In other words, the design of the Para relies on a fully-exposed flash tube that omnidirectionally lights up the reflector. Combined with the engineered curve of the reflector shape and the focusing rod, the result is a focusable and widely versatile light shaper. To figure out my personal preference for the strobe position inside the Para, I experimented with the focusing rod and realized how versatile this unique feature makes this already wonderful light modifier: depending on my shoot goals I can make the light contrastier or softer by shifting the strobe further out or deeper into the housing of the Para. And the best part of it all is that both the softest and the hardest light that it produces look better than the light produced with my Octabox or the Beauty Dish, and you will see it for yourself in the test shots below. Of course, just like with everything in life, with the wonderful lighting abilities come the large size and a handsome price. I am a professional full-time photographer, so this expense is deductible (will lower my income tax through fixed assets depreciation). I always try to choose larger light stands, C-stands or roller stands when shooting at various studios, but when I am traveling to my clients, I am sometimes unable to use it because I don’t have any massive stands. Also, sometimes I shoot in smaller spaces in clients’ locations, and shooting with a Para requires some extra room if we compare it to shooting with a Beauty Dish, for example. With all of this in mind I kept falling in love with the beautiful light in my images. As luck would have it, one day the Broncolor folks saw my tag on Instagram and reached out to me. After a couple of test shoots with their Para 88 and Siros 800, I became a Brand Ambassador, which I am very honored to continue to be. 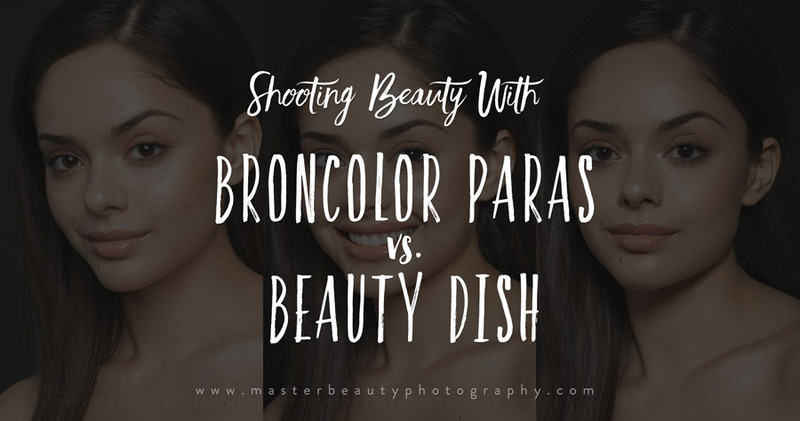 Don’t get me wrong, though, I am not praising these wonderful lights because I am affiliated with Broncolor, it’s the other way around: I am a Broncolor Brand Ambassador, because I am in love with their products and quality. And now that I had access to Para 88, a Broncolor Beauty Dish and Para 177 (at The Dover Studio), I wanted to compare the light created by these light modifiers to figure out which one I like the best for my work, and here’s what I found. Here’s what the Broncolor Para 177 light looks like at different degrees of focusing. In my test images the distance between the model and the light is about 2 meters or 6,5 feet. Notice that when the light is fully focused (the strobe is pulled in and fires close to the back of the Para) there’s overall more light in the frame: on the model as well as on the background. Normally, when going from fully defocused to fully focused, I have to either lower the strobe power output or close my aperture down about 1 or 1,5 f-stop for correct exposure. The highlights are more pronounced when the strobe is fully pushed in (fully focused) on the focusing rod. My personal preference is around the mid position. Click to enlarge. Photographed with Broncolor Para 177. 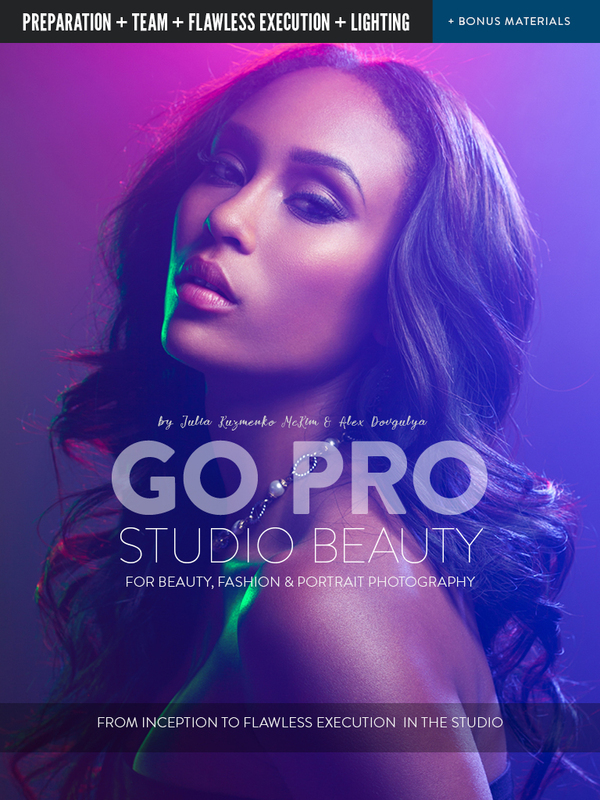 Model Oralia Cortes, Makeup by Vlada Haggerty, Photography by Julia Kuzmenko. And finally the main comparison that I wanted to see for myself was of the differences between the light produced by Para 177, Para 88 and the Beauty Dish. Both Paras focusing rod is at its mid position. Judging by the darkness of the shadows under the model’s chin, the Para 88 produces the light that is not as hard as the light produced by the Beauty Dish, and not as soft as the light produced by the Para 177. I also prefer the look of the highlights and midtones on the model’s skin in the Para 88 shot. I have been fortunate to be able to shoot with a Para 88 for a while now and I know that while I may still shoot with a Beauty Dish every now and then, it will never be the same for me. The Para 88 light has won my photographer’s heart. 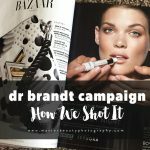 I have already successfully shot a few commercial campaigns with it – keep an eye out for my new Urban Decay and Melt Cosmetics campaigns, they should be rolling out in the next month or two, and I will be posting the images on my Instagram. Click to enlarge. 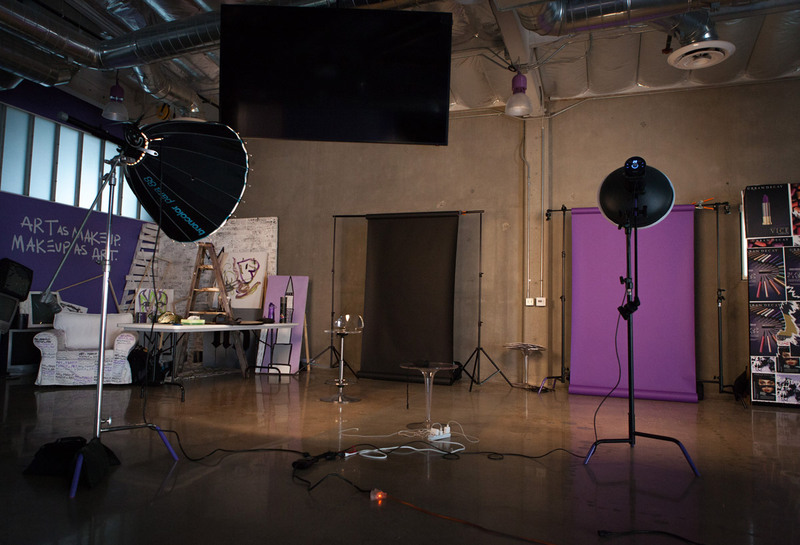 Urban Decay Cosmetics, a BTS shot of my recent campaign shoot (two sets). 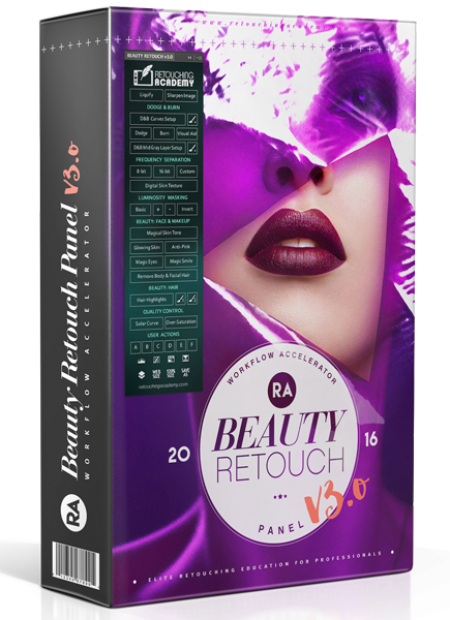 So to summarize, besides the pleasing look of the highlights and shadows that I have already mentioned above, the other heavy argument for Para 88 for me is that this light makes skin retouching easier and faster, and because I do my own retouching it is super important for me. With all of this said, I am a firm believer in the artistic evolution and it makes total sense for me to purchase this light modifier after I return the loaned equipment – I see the value in this investment. 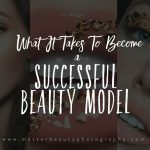 If you are at a different stage in your beauty photography journey, you may not see or care for the subtle differences that I pointed out in my comparison images, and if that’s the case, you are definitely not ready for this light modifier, even if you can afford it right now. Take your time, explore your visual taste and lighting preferences further. If you do see and appreciate the qualities of the Para 88 light, but are not yet a full-time photographer, or don’t have well-paying commercial jobs yet, begin by renting it for paid jobs or even for your own portfolio shoots. One shoot will be enough for you to understand whether or not this light modifier is for you. And before I sign off for today, I’d like to thank you for taking the time to read my blog! I have been very busy lately, and I can’t complain because I am doing what I love – shooting for awesome cosmetics brands, getting to know the amazing people who make this industry so badass and fun. But I do miss writing, and I promise I will write more whenever I get a chance! Hey Julia! I have my Para 88 in two bags. One is a standard Manfrotto tripod bag. If fits the Para perfectly. It’s like it was made for it. It’s almost the exact length of the para. The hardware I have placed in a second, smaller Manfrotto bag. While that means that I don’t have a wheeled solution, it’s literally in two modest shoulder or hand carry bags. They take up almost their precise volume because the bags fit ‘just right’. Thank you so much for sharing your case solution – I am not completely sure how you manage to stick the Para into a tripod bag, if you remember to take a picture of it next time you’re shooting, please do share! I feel like the Para 88 is too thick and tripod bags that I have are too skinny, that’s why it’s hard for me to imagine. But I think it’s a wonderful way to store and transport it – I cannot stick the Para case into my tiny Mustang trunk, so I can only transport it on the back seat of my car and I don’t like that too much for obvious reasons. Would love to see which tripod bag you have! 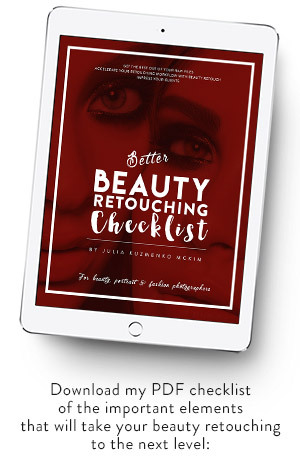 I would be happy to take some photos and email them to you Julia! In the meantime, here’s the bag that the Para itself sits in. The hardware bag is smaller than this one. Oh that’s perfect! Thanks so much James! Thanks for the writeup @juliakuzmenkomckim:disqus ! Have you had a chance to use the 133 vs the 88? I’m looking for something of an on-location mod but a beauty dish is just too cumbersome to transport. I do like the Para88 image you have but might want the shadows somewhere between that and the 177., hence the 133. Also, do you use any diffusers for the 88? It’s my pleasure! 🙂 No, you know, I don’t think I’ve tried the Para 133, but remember that you can control the shadows by the distance between the light source and the model. For example, if you have Para 177, just move it away from the model further to “decrease” the relative size of the light source and make the shadows a little harder than Para 177 creates when it’s closer to the model. Thanks for taking the time to show the differences between the different modifers! While the Para 88 is out of my price range I am considering a similar modifier from Parabolix. From reviews I’ve seen you get the same results as a Para 88 at about 1/3 the cost. The biggest difference is the patented opening/closing mechanism from Broncolor is superior. It is nice to see that a much cheaper beauty dish produces nearly the same effect though! Your articles are great, keep up the fantastic work! Thank you for sharing, Ryan! Yes, there’s always an option for most light modifiers, the main difference for me is the quality and reliability of the actual items. 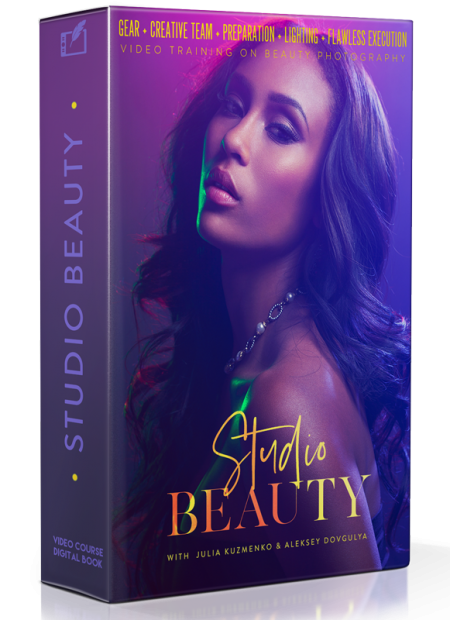 Broncolor equipment also has great packaging, which is very important to me because I travel to my clients very often.